REP Crime, Eclipse Films and Riverstone Pictures today announced that principal photography has begun on THE CORRUPTED, which is filming in various locations around London, UK. 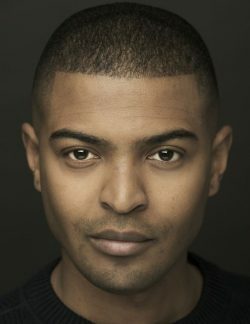 Noel Clarke (Brotherhood, Mute, Star Trek: Into Darkness) has been announced today as joining the cast of renowned British talent, which includes Sam Claflin (Journey’s End, Me Before You, The Hunger Games), Timothy Spall (Mr. Turner, Finding Your Feet, Harry Potter), Hugh Bonneville (Paddington, Viceroy’s House, Downton Abbey) and David Hayman (Finding Your Feet, Macbeth, The Boy in the Striped Pajamas). Rounding out the principal cast are Naomi Ackie (Yardie, Lady Macbeth), Charlie Murphy (Peaky Blinders, ‘71) and Joe Claflin (The Pity of War: The Loves and Lives of the War Poets, Grantchester), with additional cast members Sam Otto (The State, The Boy with the Topknot) and Akbar Kurtha (Mars, 24). Directed by Ron Scalpello (My Name is Lenny, Bobby) and written by Nick Moorcroft (Finding Your Feet, Urban Hymn), THE CORRUPTED is a strikingly authentic crime-thriller that follows Liam (Sam Claflin), an ex-con determined to win back the love and trust of his family, having lost everything at the hands of a local crime syndicate, run by Clifford Cullen (Tim Spall). Cullen has since infiltrated the highest levels of politics, finance and the police force. Despite efforts to rebuild his life, Liam soon finds himself caught up in a web of conspiracy and corruption, fueled by a bloody land grab that occurred across the City of London ahead of the 2012 Olympic Games. Liam is forced to make the ultimate resolution; confront the past in order to reclaim his future. THE CORRUPTED is being produced by Andrew Berg and John Sachs of Eclipse Films, Nik Bower of Riverstone Pictures and Laure Vaysse of REP Crime, presented and financed by Motion Picture Capital. Executive producers are James Spring of Fred Films, Deepak Nayar and Nick Moorcroft and Meg Leonard of Powder Keg Pictures. The Exchange are selling worldwide rights and Entertainment Film Distributors will be releasing the film in the UK.